Agrochemical Portal is a one of a kind, multilingual platform providing comprehensive regulatory compliance information and registration services. 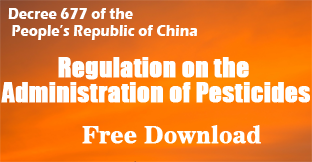 At Agrochemical Portal we leverage our geographical and language advantages to bring you unparalleled access and up-to-the-minute coverage on Chinese crop protection issues all backed by a comprehensive regulatory database. Agrochemical portal is an encapsulation of the fundamental principles we follow. At Agrochemical Portal we act as a bridge connecting foreign and domestic interests with the information and services they need to comply with regulations and access China’s lucrative markets. We believe that successful market access is supported by the pillars of reliable, timely and high quality regulatory information and solid experience in successful application of practical registration procedures. The Chinese Crop Protection Industry has evolved rapidly carried by wave of domestic and foreign investment and an increased demand for products. The Chinese industry is extremely dependent on global demand as over 60% of agrochemical production is for export purposes. 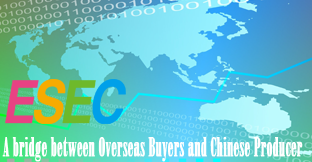 The texture of the Chinese industry is composed of enterprises of varying sizes and capacities with SOEs, private enterprises, MNC subsidiaries and trading companies all playing a part. China has improved its supervision of the agrochemical sector by adopting a pesticide registration and manufacturer approval system. The major hurdles for foreign companies are still the language barrier and the regulatory and legislative differences intrinsic to the Chinese system. In the past failures were invariably attributable to lack of important business connections that can influence key decision makers or aid in the process of market access. With China’s market and policy reforms, more recently it is lack of regulatory knowledge and failure to comply with regulations that has been the primary causative factor in market access failures.